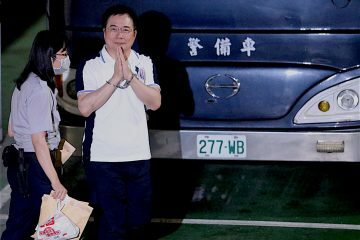 VIRAL POPULARITY on the Internet may not translate directly into political viability in Taiwan, as observed in the case of Tainan mayoral candidate Mark Lin, a candidate who is a viral Internet phenomenon but unlikely to win in upcoming elections. 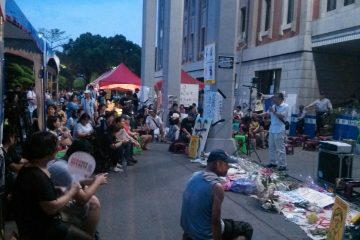 However, Taipei mayor Ko Wen-Je, who is seeking reelection in 2018, continues to demonstrate that he is massively popular through Internet ads, crowdfunding, and soliciting volunteers. 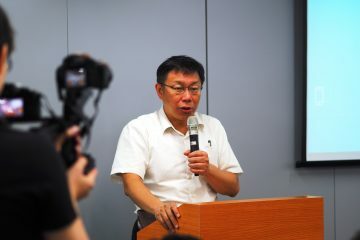 Ko rode to election victory in 2014 mayoral elections through a well-run campaign that managed to mobilize younger voters through the Internet and was able to successfully leverage on Ko’s public image as a candidate lacking the institutional support that a traditional candidate from one of the two major parties as a political dependent. 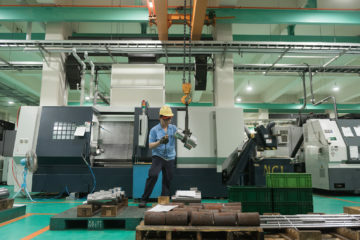 This has continued in the present, as observed a recent viral Internet program documenting Ko’s daily life as mayor, Ko Wen-Je reaching 300% of his crowdfunding goal on his first day, and reaching close to 2,000 applications for volunteers on his campaign. On the other hand, Ko’s rivals appear decidedly uninspiring. 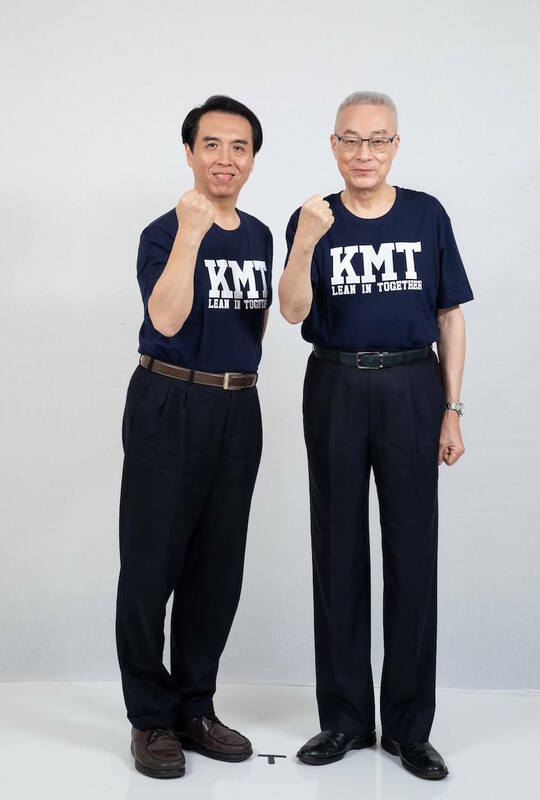 Both Pasuya Yao of the DPP and Ting Shou-Chung of the KMT are both traditional party candidates from their respective party establishments. Both are candidates who have had their eye on the Taipei mayorship for a long time. As a result, both are rather uninspiring candidates, offering nothing new. Some of Ko’s actions that have been more controversial have rebalanced where he stands between the pan-Blue and pan-Green camps. These include conducting controversial city-based cross-strait exchanges with Shanghai, publicly praising Chiang Ching-Kuo, making public appearances with “White Wolf” Chang An-lo and James Soong, and inadequate action against violent pro-unification demonstrators during the NTU Sing! China incident. Nonetheless, pan-Green voters may actually continue to support Ko over Yao, seeing as Ko continues to perform far better than Yao and Ting in polling, and Yao performs significantly worse than both candidates. But going into 2018 elections, some further shifts may rock the pan-Blue camp, with the possible removal of some KMT candidates. A potential split in the pan-Blue camp may take place in Hsinchu, seeing as KMT legislator Lin Wei-chou intends to run for Hsinchu county commissioner without the endorsement of the party even if this means that he may be kicked out of the party. 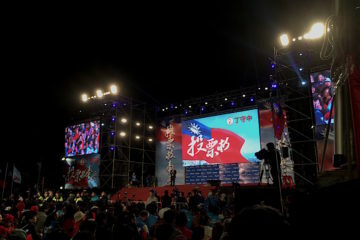 Namely, the KMT chose Hsinchu Deputy Commissioner Yang Wen-ke as its candidate despite that Lin performed better in polling, raising longstanding questions regarding internal democracy in the party, particularly with regards to how its political candidates are chosen. 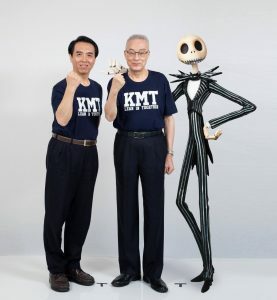 Likewise, rumors currently swirl that former KMT legislator Apollo Chen will be removed as the KMT’s candidate in the Taoyuan mayoral election. 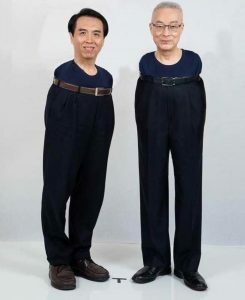 In particular, despite Chen being one of the stronger candidates that the KMT currently has to offer, some perceive the possible removal of Chen as a response to a widely mocked campaign ad in which Chen and KMT party chair Wu Den-Yih appeared wearing dress pants very high up on their waists, in a manner which shows that both are rather old and grandfatherly. This campaign ad became the object of countless Internet memes among Taiwanese young people. 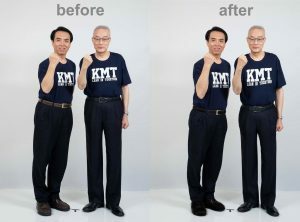 While the party has sought to construct an image of youthfulness in recent times by running a number of youth candidates for city councillor and having its candidates wear KMT party sweaters featuring the slogan, “Lean In Together,” this ad would seem to point to the dated nature of some of the KMT’s current party heavyweights. At the same time, it would be strange to replace Chen merely on the basis of an ad and it remains to be seen whether these are more than simply rumors. 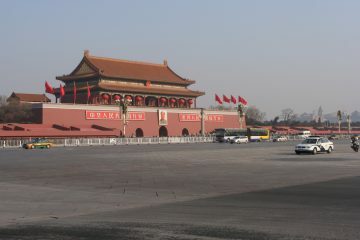 Nevertheless, perhaps that such rumors now swirl regarding Chen points to that the KMT is in fact becoming rather desperate, and is confused as to whether it should stick with older candidates who may not be terribly inspiring, or to risk the party’s credibility on new faces in attempt to make the party seem less outdated. Indeed, if the party does poorly in 2018 elections, this will probably mean the end of current party chair Wu Den-yih’s tenure, and this may explain the nature of some of the KMT’s actions at present. Even if the DPP may not be able to offer any vision of reform and change themselves, at least they will seem less dated than the KMT, and this may ultimately be to the DPP’s benefit. Alternatively, with political independents that do not vote on party affiliation on the rise in Taiwan, this could create a surprisingly large amount of space for new, up and coming third parties to develop. How Involved was Ko in the Chinese Organ Trade?